LEBAWIT LILY GIRMA is a freelance travel writer and photographer — and MatadorU alum — who just returned from a seven-month stint in Belize, where she completed her first travel guidebook assignment and the 10th edition of Moon Belize for Moon Handbooks. Not only did she write the guidebook, but she also provided all the photos and even landed the prized cover shot over other candidates. Learn the skills you need to get published in the travel writing program at MatadorU. Born in Ethiopia and raised in Cote d’ Ivoire, Lily is a self-proclaimed “culture-holic” who speaks four languages and has lived in Africa, Europe, and the Americas. In 2008, Lily left her career as a lawyer to follow her passion: travel writing and photography. With published work in various outlets such as BBC Travel, CNN Travel, Matador Network, American Way Magazine, and the Guardian, Lily continues to engage and inspire us to travel the world with an open mind and spirit. I had the pleasure of meeting Lily through her sister Mimi, a talented designer I worked with in the fashion industry — a true testament to how small the world is. I spoke with Lily about her guidebook writing experience. AC: Lily, first, congratulations on authoring your first edition of the Moon Belize handbook. How did you land this assignment? LG: Thank you very much! That’s the question I get all the time: How’d you get a gig like that? The answer is simple: I applied. One day in June of last year, while I was away at the TBEX conference, a friend and fellow traveler emailed me the Craigslist ad that she accidentally came across (of course, there are no accidents). She knew I was a Belize head from following my blog. I’m forever grateful to her for alerting me. Several folks knew of the opportunity before I did, as the listing was a couple weeks old. First, I inquired as to whether the position was still open. When I received a resounding yes, I felt encouraged and submitted my resume and a cover letter. I poured my heart and soul into them for an entire weekend. After that came the interview request, and later the request to submit a proposal, and finally the news that my proposal made the final cut. All in all, it took about two and a half months from application to selection. Is there one piece of advice you would give someone who wants to do something similar? You never know when opportunity will knock, and when it does, you should be ready! Develop an expertise in a destination you truly love, keep writing (and writing well) and publishing in travel outlets, blogging, and networking. Never give up. When you feel ready and have a substantial body of work to show, contact your favorite guidebook publishers — reach out to them directly and let them know your destination expertise. And of course, you should keep an eye out for opportunities. After the whole process was over, I asked for the factors that led to my selection. I was told that my knowledge of and passion for Belize jumped off the page, that I was very clear on what I was bringing to the table compared to other applicants, and that my writing was stronger. Most travel guides usually have an author and then source photos from either a stock agency or hire a freelance photographer. For Moon Belize you did both yourself. What challenges did you face in not only writing a guidebook but also having to supply photos? Very little challenge, in terms of acquiring photos from scratch. 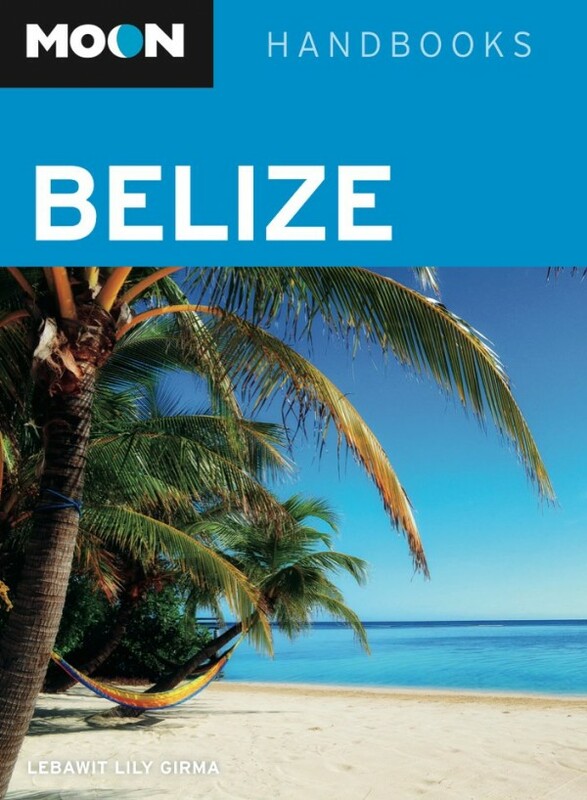 I already had a very large Belize stock library, long before I landed the assignment, thanks to my numerous visits to Belize, including my three months there as a MatadorU Belize Road Warrior working in-house with the Belize Tourism Board. Contrary to what most believe, to land a guidebook assignment you have to already be an expert in the destination. You must have lived there and traveled the entire country and know it inside and out. Having a solid library of photos was one of the components of the application. The only challenge was selecting and cataloging the photos for each chapter. Can you describe a typical day on the job while putting this guide together? Wake up at six in the morning, get ready, then review my notes and list of places to stop by for the day. From 7:30am till about 4pm, I’m on the go — checking out breakfast spots, sights, activities, lunch spots, and hotels, updating maps as I walk around, taking a few photos. I continuously write and record thoughts in my Moleskine. By late afternoon, I’m back to my room, shower, and then do a “data dump” of the day’s notes and files, writing up my chapter as I go along. I update my list of places left to see for the next day, then I head to happy hour spots (in San Pedro, my days were insane! ), followed by restaurants, and nightclubs. Most of the time, my days went from 6am to midnight, particularly the first three months. Did you meet any resistance in photographing certain locations / groups of people? How did you approach people / locations that you wanted access to? No, I had no trouble taking photographs. I rarely ever have in Belize. Belizeans are very friendly people. And as always, I don’t take photos without permission, particularly of people. In many places, I didn’t reveal who I was. But if I wanted to tour and shoot photos of the interior of a high-end resort or restaurant, for instance, I would ask the owner / manager and introduce myself. Otherwise, it can look suspicious (and rude) to just walk in and snap photos! Then, if I decided right there to include a place or person in the book, I would ask for a signature (I carried forms on me), and everyone was more than happy to oblige. Lily, with the travel guidebook industry being very male-dominated, what was your experience as a woman trekking through Belize? Did you have a guide? Traveling the country solo wasn’t difficult or unsafe, and not much different than when I was traveling it solo in past years. Belize is easy to navigate in general, and for the most part I covered it all on my own, whether by bus, car, boat, on foot, or bicycle. When it came to some farther-out attractions or spots, I called on my guides or expert contacts, whom I knew from my numerous travels there. For nightlife in some areas — say, Dangriga, where there are fewer solo female travelers — I preferred not to go out alone to the local dance spots. I had a trusted taxi driver whom I befriended, and he was more than happy to come along and hang out with me. Besides, taxi drivers in Belize know all the latest info, good or bad, so that was great. I shared their names in my edition, for all the solo female travelers out there. What reactions did you get from the people living there? There were the few instances when I confronted prejudice along the way. A couple of folks couldn’t grasp that I was the new author of the book; one asked if the previous author had sent me to help with his updates. Another time, an expat hotel owner was reluctant to let me walk around her high-end property, even after I introduced myself. I had to remember not to take it personally, because I realize there are probably very few African or Black females in the travel guidebook writing world. So in those few instances, I just grit my teeth, smiled, and took the time to clarify and educate. Also, 90% of the time, I was mistaken for a Belizean. This was often a very good thing, in terms of blending in, but other times not so great (a story for another time)! For most of my seven months in Belize, however, folks were friendly and helpful and went out of their way to make sure I had all the info I needed. I was very grateful for that. Belizeans are wonderful people. It’s a known ‘rule’ in photography that midday sun is a no-no, yet I see you have captured beautiful photos when the sun was at its brightest. Any tips you wish to disclose on capturing a perfect exposure under these conditions? I had to learn how to handle harsh light early on, because I traveled to the Caribbean for the most part. As a travel photographer on the go, you have to work around the light that you have at any given moment; you won’t always have the luxury to plan and return to a particular spot. My tips would be: a) shoot in Manual mode, to better control the settings; b) increase your shutter speed; c) lower your ISO and use a large f-stop value; and d) don’t shoot facing the sun, find shade when it works, and use your fill flash when capturing people to minimize shadows on the subject’s face. It’s really a matter of practice and error — get out there, play with these different settings, and see how it turns out. You spent another lengthy period of time between 2009 and 2011 in Jamaica and captured some incredible shots that gave an in-depth look at the island. Any future plans to do a Moon Jamaica guidebook? Jamaica will always have a special place in my heart. It was my first home away from home. It’s also where I taught myself travel photography and launched my blog. I continue to receive at least one question a week on Jamaica from readers, believe it or not. As for a future Jamaica guidebook — anything is possible! Lily’s edition of Moon Belize is due out in the fall, and will be published in full color, a first for the handbook. Pre-orders are now available on Amazon. You can follow Lily’s adventures on her blog, Sunshine and Stilettos. * Learn more about the photography tips mentioned above in MatadorU’s travel photography course.